Every year, millions of people in the US have wisdom teeth surgically removed, repair a broken skull bone, or need help repairing lacerated soft tissue. However, few of those people visit an oral and maxillofacial surgery specialist as part of their treatment. O/M Surgeons are uniquely qualified to perform even the most complex facial or dental surgeries without causing additional harm to the structure and function of the maxillofacial region. If you have sustained a traumatic dental or facial injury, the last thing you need to worry about is how you’re going to repair the damage. Instead, call the Houston, TX experts at Piney Point Oral and Maxillofacial Surgery, and let us help you establish the right treatment plan to put a smile back on your face in no time. What Kind of Injuries does an Oral and Maxillofacial Surgeon Treat? When Should I Seek Treatment from an Oral Surgeon, and How do I Find One? If you experience severe facial trauma, the odds are seeking out an oral surgeon will be the last thing on your mind. Luckily, one or more of our doctors are on call at local hospitals to provide their expertise whenever needed. If you need a second opinion concerning recommended oral surgery or have a less traumatic surgical need (wisdom tooth extraction, dental implant procedure, etc. ), you may call and schedule an appointment with one of our skilled practitioners. Will I Have Scars or Other Complications After Treatment? Numbness of face, lips, tongue, etc. If you need oral or maxillofacial surgery, the odds are you’re under enough stress. Don’t take on the additional hassle of researching your dental practitioners surgical qualifications. 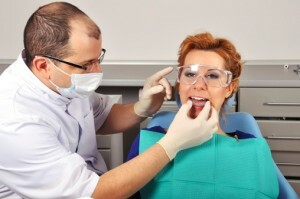 Call the trusted dental surgeons in the Houston, TX area, Piney Point Oral and Maxillofacial Surgery. We’re here to help you with the expert, surgical care you need. Our Houston, TX practice welcomes patients from Memorial, Stafford, Meyerland, Bellaire, Lamar Terrace, Galleria, Briargrove, Rice Military, Heights, Bunker Hill Village, Hunters Creek Village, Hedwig Village, Katy, and beyond. by: Piney Point OMS at August 17, 2015 .